There were 702 press releases posted in the last 24 hours and 153,594 in the last 365 days. 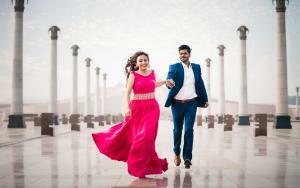 Subodh Bajpai is one of the top wedding photographers in Lucknow. Founded in 2013. 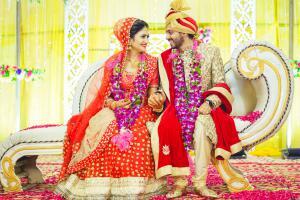 LUCKNOW, UTTAR PRADESH, INDIA, October 27, 2018 /EINPresswire.com/ -- Subodh Bajpai, a pioneer in pre-wedding photography and capturing the wedding and occasions through camera since 2013, announces the expansion of its services pan India. Earlier it used to cater its services mostly in Lucknow, but the crew has expanded to widen their reach. A brainchild of Subodh Bajpai, this firm began its journey in 2013. Based out of Lucknow, it has grown many folds in a span of just half a decade. 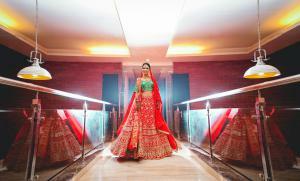 Subodh Bajpai had a keen interest in wedding photography ever since he started planning his career. He holds a Bachelor's degree in Mass Communication and Post Graduate degree in Photography from the esteemed Jamia Millia Islamia University, Delhi. Subodh who is the driving force behind this firm is ably supported by a team of 82 people including photographers, videographers, technicians and directors. Subodh Wedding Photography has covered 812 engagements, 1156 pre-wedding shoots, and 533 weddings till now. When asked about the plans of Global expansion, we will go where our passion for wedding photography takes us! We want to expand our resources and skills to capture as many weddings as possible. Our goal is to create blissful memories for all the couples till eternity or till they grow old. The company has been receiving great responses from its clients and is ranked as the top wedding photographer in Lucknow by them the company’s turnovers speak for its success. About us: Subodh Wedding is one of the top and innovative wedding photographers in Lucknow that believes in getting as real as the precious wedding moments in all those photos captured.